Markingbird is a Markdown processor written in Swift for OS X and iOS. It is a translation/port of the MarkdownSharp processor used by the Stack Overflow website. Note: At WWDC 2015, Apple announced Swift 2, which includes changes and a new feature called "protocol extensions" that render much of the code below either irrelevant or incorrect. This article applies to Swift 1.x. As an experiment in using Apple's new Swift programming language, I whipped up a simple tip-calculator app for iOS 8. 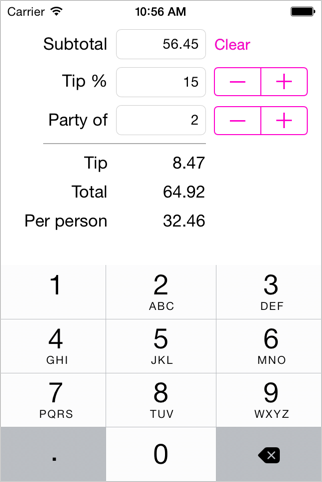 Yes, the world really needs Yet Another Tip Calculator, and it also really needs Yet Another Swift App Example. I am working on an iPad app that uses the ArcGIS Runtime SDK for iOS. Esri provides an easy-to-use installer and instructions for setting up the SDK so that it can be used with Xcode. Every once in a while, I have to tell a graphic designer all the sizes needed for iOS and Android icons. So I'm putting together a summary here for easy reference. I have just learned about Apple's UI Automation testing framework. Unfortunately, I don't have an iOS project to work on at the moment, so I am probably going to forget all about it. This is my cheatsheet. It may not help you at all. Want to Develop iOS Apps? Learn Objective-C.
As an iOS software developer, I am often asked whether "we" (a team I'm working with, or someone I'm advising) should avoid using Objective-C and instead use a higher-level or easier-to-learn programming language. In general, my answer is "No". The rest of this post explains why. Mac OS X provides a pretty nice data-binding technology for developers, called Cocoa bindings. Unfortunately, the Cocoa bindings mechanism is not available to iOS developers, so iOS developers have to spend a lot of time writing code to keep user-interface elements and data in sync.